The helmet is was believed to be a 10th century Norse helmet nearly identical to one preserved in the Museum of the City of Kiev. It is in fact a circa 1945 German Luftwaffe helmet. It is model number SSK90 and was produced by Siemens. 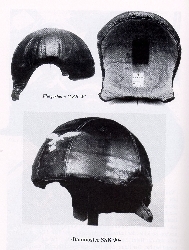 This sort of helmet was used by late war Geman Jet piolots. The Messerschmidt ME262 was the first viable jet plate used in World War II. Luftwaffe pilots wore helmets of this sort, which would originally have been covered in leather. The pictures are all clickable for huge enlargements. 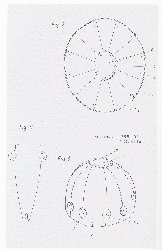 The original design plans from the Patent Office. The helmet liner without the leather covering. The helmet with the original leather covering. 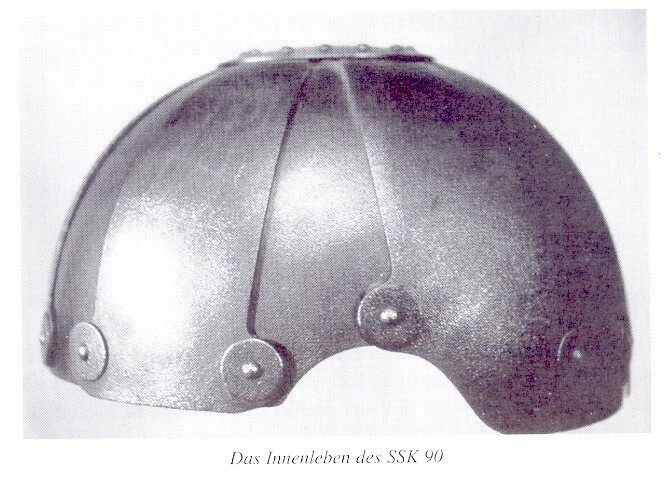 "A complete 10th century helmet from Kiev, with a rounded cap of the crested type, may also be of Scandinavian origin; it does not resemble other helmets in use in the region in that period. (p. 1125)"
Constructed of 12 plates riveted alternately inside and outside. Slightly distorted from original oval form. Two holes rusted through the skull. There is some substantial pitting and rust. This was once believed to be the most complete surviving helmet from the Viking period. There are several substantially complete pre-Viking helmets from the Graves at Vendel, Valsgarde and Ultuna. 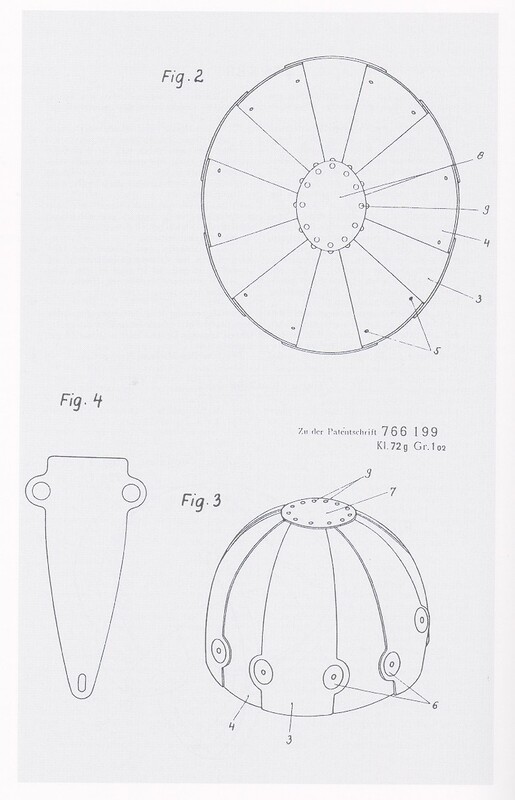 As far as truly Viking helmets we are back down to a single example. The Gjermundbu helmet is highly fragmentary being only slightly more than one quarter of a complete helmet. Please email comments to doug-strong@comcast.net by clicking here.